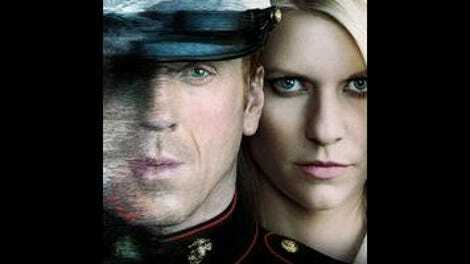 I genuinely have no idea what’s coming next on Homeland, and I’m not sure how I feel about that. On the one hand, it’s always nice to have a show where the writers are very good at guiding the audience in particular ways. It’s nice to be fooled—as we were by the suggestion last week that Brody, though close to Abu Nasir, had never actually been a part of his terrorism plans. But it’s also nice to have some base level of reality that we can rely on to always be present. Last week, with a series of terrific reversals, it seemed like we’d finally gotten to a status quo that would hold for at least a few episodes. But this week, with the events of the final scene, the show has pulled the rug out from under us again. And while it’s often a thrill to feel like you don’t know what you think you know, there also comes a point where those reversals have diminishing returns. All of this is to say that where “The Weekend” was terrific TV with a stunning ending, I felt like the ending of “Achilles Heel” left things a bit lacking. Naturally, it’s the start of something new, a new part of the story, so it’s impossible to decide how well it works within the larger narrative without seeing the next few episodes (which I haven’t). So I’m not going to be too hard on the show for the final scene—even if I found it a pretty sudden twist to throw in out of nowhere (the show has generally played fair with us in regards to Brody’s actions, though I suppose this is probably the first time he’s visited someone in on the plot). There are plenty of ways to make this work, and I’m all but certain the show will choose one of them. I love that I’m not wholly sure where all of this is going, but I’m hoping we’ve reached a point where there won’t be any more huge twists about character motivations. I’m rapidly approaching the point where I’m tired of having the show jerk me around as to what’s real and what’s not, and I’m hopeful things will settle down for now. That last scene—which makes up a very, very small portion of the show—also has a tendency to dominate the episode in the memory. For the most part, this was another nicely done, quiet hour of the show. (This seems odd to say about an episode that featured a foot chase between Walker and the FBI that ended with two innocent men dead, but there you go.) The show is building up a nice rhythm of spacing out the big reveals with lots of intimately observed character detail, and even if it’s not always predictable about where the big reveals will fall, it’s very good about spacing them out just well enough that the thing doesn’t turn into 24, with twists piled on top of twists. Tonight, we had a mostly quiet hour about whether the various characters would choose family or duty, when the chips were down. We already know about Carrie and Saul. They’ll choose duty every time, and it’s cost both of them, especially Saul, dearly. In their line of work, it’s impossible to be married to both the job and someone else, and the job has won out so many times in Saul’s marriage that Mira’s finally just had enough of it. She’s off to her new job, and she’s lost patience with his attempts to promise that next time, it’ll be different. 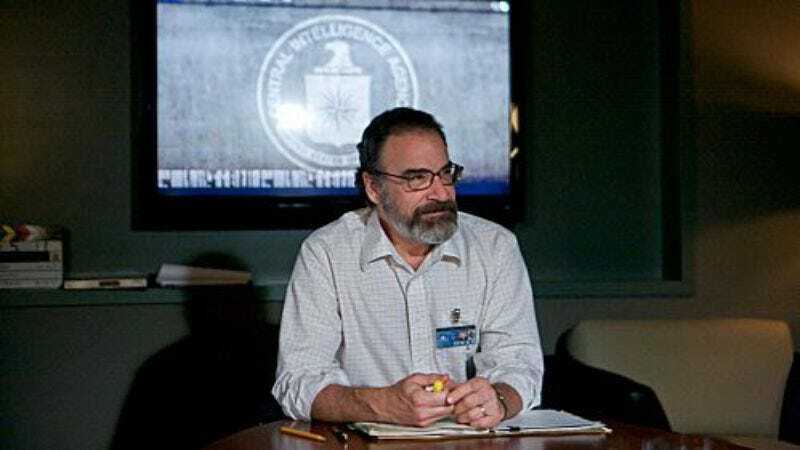 The scene where he raced up to the house after the Walker debacle, having broken his promise to make breakfast for her and drive her to the airport, was deeply heartbreaking, and what I love about it is that Mandy Patinkin is playing both how much sadness Saul has about how all of this has transpired and how aware he is that he would make the same choice—the job—over and over again. He doesn’t want Mira to go, but on some level, he can’t blame her for making the choice she has. He’s always going to be racing up at the last minute, having missed what’s important to her, even if what’s important to him involves saving the country. I also really liked what the episode did with Carrie. It’s hard to do anything new with the idea of a woman dedicated to her career who has troubles with her personal life. It’s not just a cliché that’s been beaten to death; it’s a horribly sexist cliché. There are plenty of career women who also have satisfying family and personal lives, and for as often as television acts like that’s impossible, there are millions of women out there proving the medium wrong on a daily basis. “Achilles Heel” was very canny, I think, about drawing parallels between Carrie and Saul and pointing out that it’s not so much that Carrie has a job she’s dedicated to but that it’s this job. A job in the CIA is one that will interrupt just about anything, from a quiet evening at home to seeing your wife off at the airport as she leaves you forever, and that will take precedent over whatever it is you’re doing. It’s hard to have a job like that and keep a relationship going because, naturally enough, we usually expect to take first priority in the lives of those we love. Carrie can’t make that guarantee, not even to her sister and nieces and father. On another level, even if she gets married and has kids but keeps her job, she’ll still be alone because she’ll never have someone she can let in on everything she knows. The CIA is an island unto itself, a place where everybody is carrying their own secrets with very few people to open up to. Secrets are rarely good for any relationship, and it’s no wonder that the most successful relationship Carrie’s apparently had in years has been with a man she was spying on, a relationship that ultimately crumbled because of the secrets she’d been keeping from him. I have a bit more of a problem with Tom’s former wife, Helen, who learns that not only is her husband alive—and possibly watching their son from outside his school—but has also been turned by the terrorists. She’s cooperative throughout the episode, but I kept waiting for the other shoe to drop, for the scene to come where she tearfully told him what she’d done and prompted him to go on the run. I knew Carrie and Saul wouldn’t catch up with Walker in this episode—because we’ve got too much time to kill—but I was hoping the show would come up with something other than “the love of his former wife is what ends up saving him,” because that makes Helen a character defined almost entirely by weakness. I get how the show is using her decision to illuminate the choices that Carrie and Saul make—which are almost exactly the opposite choices—but it was still just about the most easily predictable thing the show has done up until this point. That said, I liked this episode quite a bit, and I liked the way it kept playing around with that idea of the Achilles heel, the tiny chink in anyone’s armor that reduces them to someone who makes bad choices. And we all have an Achilles heel, because not a one of us can serve as many masters as we pretend to. There’s always going to come a time when we have to prioritize work or family or the terrorist organization we’ve aligned ourselves with, and when we make that choice, we’re going to hurt a lot of people or let others down. The best we can do in these situations is simply minimize the damage, but sooner or later, the chips are going to be down, and our loved ones are going to know where we really stand. And on some level, both they and we know which side they’re on. Another reason I really liked this episode was the Brody family plotline, which returned to the understated tone from the episodes before Brody found out about Mike. I like that now that he’s been with Carrie, he and Jessica seem to be more at ease with each other, and I really liked that scene where the whole family watched Ice Age together. It’s taken a couple of months, but Brody’s coming back to his wife and kids, slowly but surely. The scene after the FBI agents shoot the two Muslims at the mosque for morning prayers is nicely chilling. Out of one mess and into an entirely different one. It’s taken a while, but I’ve really come around to like almost everything about the Homeland credits but those weird images of the characters standing in a hedge maze. The jazz trumpet motif seems more and more important to the show’s storytelling theory the further along we get into the series. Todd’s crazy theory corner: This week’s crazy theory corner is devoted almost entirely to me trying to make Brody a “good” bad guy—that is, a bad guy who does bad things for mostly understandable reasons, in that he’s forced into it. (One of the reasons I don’t want Saul to be a mole is because I can’t figure out a way to make Saul a “good” bad guy.) After killing Walker and growing closer to Abu Nasir, my theory goes, Brody was confronted with one simple idea: You can go back home, but we’ll call on you at a critical time to perform a favor for us. And if you don’t perform that favor, we’ll tell the world who really killed Tom Walker. What the terrorists didn’t count on, of course, was the CIA finding out about Walker via Aileen or on Carrie getting so close to Brody that she felt she had to tip him off early about Walker still being alive. It gives the terrorists a believably complicated plot that’s unraveled via believable, human motives.